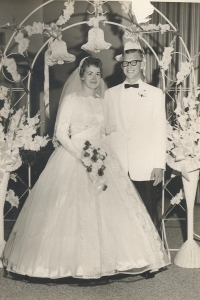 It isn’t everyday that a couple reaches that fabulous milestone of 50 years of marriage. My good friends, Morris and Elaine Bastian, have successfully done just that! Morris and Elaine Bastian have been great supporters of my efforts through the years to help strengthen marriages. In fact, Morris Bastian was one of the editors of my book And They Were Not Ashamed — Strengthening Marriage through Sexual Fulfillment. The following is a little bit about the Bastians, and some of their suggestions for building a strong and happy marriage to last throughout the years.????? Morris and Elaine Bastian met on a blind date after Morris returned home from a mission to Northern California for the Church of Jesus Christ of Latter-day Saints. “We went together for about two months. I was in love, but I tried to forget her because I just couldn’t see how I could marry and do all the things I felt I had to do before marriage…especially graduate from college and get established in a career. So, I phoned her one night and called it off. I told her I was sorry, but it just wasn’t right. Morris spent most of his professional life teaching at the Boise Institute of Religion at what is now Boise State University. 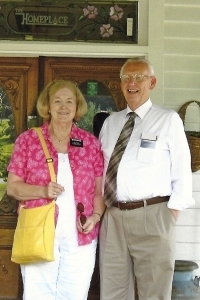 Together Morris and Elaine have served many missions for The Church of Jesus Christ of Latter-day Saints. They have served as mission president of the South Dakota Rapid City Mission (1979 – 1982); a Church Educational System (CES) mission to BYU-Hawaii as an instructor in the department of religion (1998 – 2000); and a CES mission to Southern Virginia University (SVU) as an instructor in the institute (2010 – 2011). One of their favorite pastimes is to dance to the oldies in their kitchen! 1. Be Committed. Enduring marriages begin with a strong commitment to do whatever it takes to stay together. The commitment has to be stronger than “We’ll see,” or “We’ll try,” or “I’ll do my best.” Just like there are good days and bad days in your life; there are good times and trying times/seasons in your marriage. You have to find a way through the tough times. 3. Stay Focused. Always keep your eye on the important things–like being a forever family. Don’t get distracted. Always remember what your marriage is about. It’s easy to be blinded by the craftiness of men. 5. Be the Best Spouse You Can Be. Charles Shedd wrote: “Marriage isn’t so much about finding the right person as being the right person.” We have found that concept to be foundational in strong and enduring marriages. Congratulations to Morris and Elaine Bastian for their wonderful life together thus far. They have been a shining example not only of a life of service and love of God, but they also set a great example of a happy and healthy marriage to all! Thank you! wow, let me wish first with blessings Happy 50th Anniversary to couple. Very nice photos you have posted in your post.